"The Guide is entertainingly useful and usefully entertaining. Either would be good, both are best." Who can someone call in Grinnell to get a shoe or standing mixer repaired? What if someone needs a video made? What if you're a retired farmer and want to know where to spend your mornings? This community publication celebrates the harder-to-locate and less-well-known resources of our town. 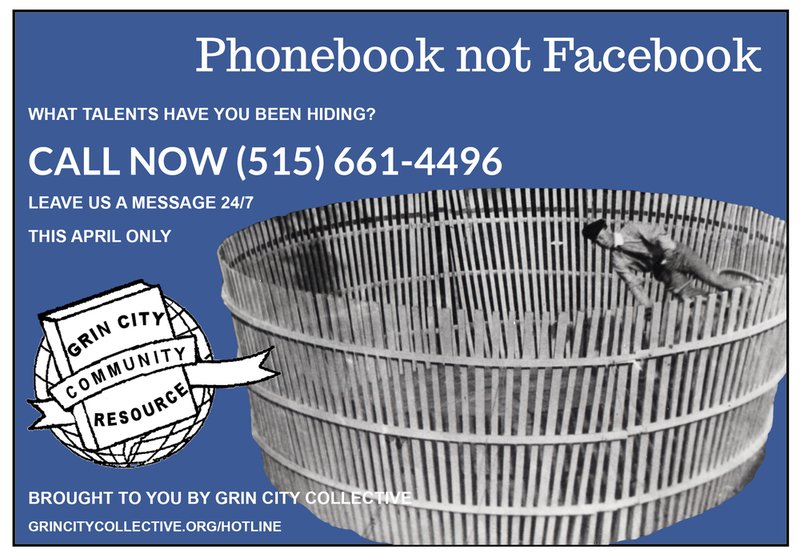 Based on Grinnell’s phone books of the 1920s-40s, the free publication includes: Social etiquette for using your cell phone (as explained by 3 generations of Grinnell women); Advertisements for old Grinnell businesses; Temp Agency applications for obsolete jobs; Contact information for your elected representatives; A place for you to write down all of your now useless memorized phone numbers; "Ghosting Strategies for the Socially Anxious"...and a lot more! 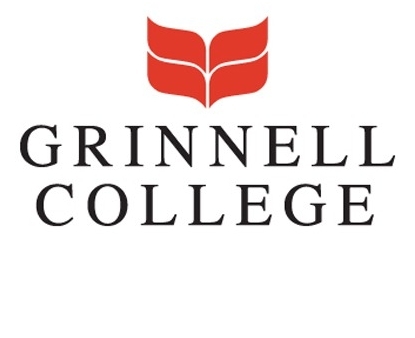 Over 500 free guides were distributed around Grinnell during June 2017. The guide was released during the Party of The Obsolete, where community members filled out a job application to be placed in an obscure or obsolete community job, or utilize our recreated "Foam Booth" (a phone booth made of foam) to make a call, or leave a missed connection one the local phone lines. Listen to the voicemails left by event attendees! You can still participate in the project! Share with us a memory related to phone booths, phonebooks, pay phones or other milestones in phone technology. Call our hotline at (515) 661-4496! Browse the faux job applications completed by community members. Missed a connection? See if yours was added to our phone lines. THANK YOU TO OUR PROJECT SPONSORS!